We are currently running 2 Team Fortress 2 32 slot Payload servers and 1 Killing Floor 2 (Early Access) server. The servers are all located in San Jose, California. You can join us by clicking the following links, or add us to your favorites! View your GameMe stats here! Summer is here! Yes, I see it outside my windows, and also because GabeN said it so. You're wondering, "what should I do? what would lord GabeN have me do?" And that giant ball of menacing fire looks so bright and hot. The only possible option is to remain indoors, in front of the soft glow of your LCD screen, playing video games. 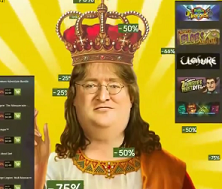 And Valve has you covered there once again, with plenty of deals and - and %. Then we though: "Why should Valve be the only ones to have Summer Deals? We can do it too!" For the next two weeks, we'll be showering our dear community members and players (that's you) with refreshing Donor memberships and delicious games to celebrate the holidays! Make sure to read the rules and tell all your friends about it! To participate, please follow this link: http://hyperiongaming.org/index.php?topic=533 and make sure you read the giveaway rules carefully. 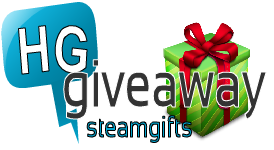 The winners will be picked randomly from the giveaway thread starting on July 22th to July 31st for the Grand Prize. You may register for the giveaway at any time until July 31st at 1:00PM Pacific Time. Enter the giveaway as soon as you can! [dot]Prizes:[/dot] We will be giving away 9 months of Donor membership, games and a final Grand Mystery Prize on July 31st! PS: Obviously, our goal is to have you spend as much time as possible playing TF2 on our awesome servers, but don't tell anybody. Yes, we are back. We are very sorry about the long downtime, and lack of information during our absence, but we were working hard to bring the site back. Our other main goal was to keep our TF2/NS2 game servers running without interruption. The hackers were able to access all information you put in your forum profile such as your e-mail addresses and SteamID. These information were accessible to other registered users as well (except if you selected "Hide my email from others"). We'd like to stress that their goal was to take over (and take down) our forums and game servers, not steal passwords or email addresses. All passwords are encrypted in the database, they are not stored in plain text. To decrypt and recover hashed passwords, you need to brute force every single one and that takes a long time depending on how complicated your passwords are. Still, we advise all our users to change their passwords for added security. If you used that password for other site like Gmail, Facebook, etc... (Don't do that! ), I'd advise you to change them as well. Again, it's very unlikely your other accounts are at risk, but we can't be sure. Why did it take so long to get the forums back online? We had to find just how much damage was done to our webserver and make sure no malicious code was added somewhere. In the end, we decided to not take any risks, and reinstall everything from scratch. Finally, we switched to another webhost for added protection. All this process unfortunately took quite some time. Hopefully, the wait was worth it. Have you guys learned anything at all from this mess? By donating $5, you become eligible for in-game and forum perks! Click here for more information! Remember, you must be logged in on your forum account to donate! Click to see the current giveaways! Become a Verified Member for free! Click to see the stats page.